Historically, Brazil’s political environment has influenced, and continues to influence, the performance of the economy and the confidence of foreign investors in real estate deals in Brazil. The recent economic instability in Brazil contributed to the decline of market confidence and deterioration of the political environment. Weak macroeconomic conditions have continued and are expected to continue in 2018. In addition, ongoing investigations related to money laundering and corruption allegations conducted by the Brazilian Federal Prosecutor’s Office, including the largest of these, the Lava Jato investigation (Operation Car Wash), have negatively affected the Brazilian economy and political environment. Some members of the Brazilian government, legislators and lawmakers, as well as senior employees from large state-owned and private companies, face allegations of political corruption for allegedly accepting bribes through government agreements involving infrastructure, oil and gas and construction companies. The profits from these kickbacks allegedly financed the campaigns of political parties; these were not publicly disclosed and served to enrich the recipients of the bribery scheme. As a result, several politicians, including congressmen and officials from Brazil’s leading state-owned and private companies, resigned or were arrested and some elected officials and other public officials are being investigated following allegations of unethical and illegal conduct identified during Operation Car Wash. Matters that have been disclosed, and have still to be disclosed, as a result of or in connection with Operation Car Wash and corruption-related investigations have adversely affected and may continue to negatively affect the Brazilian economy and markets in the near future. The final outcome of these investigations is still uncertain, but they have already had a negative impact on the image and reputation of the companies involved and on the general perception of the Brazilian economic market. In August 2016, the Brazilian Congress voted for the definitive departure of President Rousseff for violations of local fiscal and budgetary laws. President Temer took office on 31 31 August 2016 and his term is due to end on 31 December 2018. Presidential elections are scheduled for October 2018. Considering the ongoing investigations by the Federal Supreme Court allegedly linking President Temer to acts of corruption by individuals investigated in Operation Car Wash, the proposed reform agenda from his government was heavily affected and the popular support for the government reached the highest disapproval rate. In view of this scenario, as well as the uncertainty brought by the upcoming Presidential election, the confidence of industry players, consumers and investors remains weak. Credit remains scarce and expensive in Brazil. Within this gloomy scenario, there are some specific cases of debt-ridden real estate companies and distressed assets, so real estate asset prices are generally low, which translates into an opportunity for attractive investments in the eyes of foreign investors. In brief, there are great opportunities for high returns at acceptable risk levels for those with an awareness of, and appetite for, doing business in Brazil. Foreign investors have shown keen interest in medium and large-scale real estate deals with high-investment tickets, comprising housing projects in small and large urban centres for all social classes; office building and shopping centre projects; self-storage warehouses for industry, agribusiness and logistics use; and land intended for agribusiness use. Also relevant are real estate funds investing in infrastructure undertakings in general, such as electric power transmission lines. In recent years, real estate operating companies (REOCs) acting in the residential segment in Brazil have been hard hit, and a good deal of them are experiencing liquidity problems. In this challenging environment, they are focusing on survival by making cash through inventory sales, even at the expense of their yield and profitability margins. Several REOCs are putting off the launch of new projects. Faced with this unfavourable scenario, a great many consumers have opted to undo deals and return committed units. Some of those REOCs are listed on the B3 – Brasil, Bolsa, Balcão (formerly the São Paulo Stock Exchange – BM&FBOVESPA), and their market caps have hit record lows in recent months and years, matching the country’s economic downturn. At the investment end, some key real estate industry players in Brazil are Blackstone, Pátria,2 Brookfield, Canada Pension Plan Investment Board (CPPIB), Hines, Gazit and Kinea. These all have offices and teams in Brazil, and manage substantial investments in the real estate industry, attracted by the fact that medium and large real estate deals are flourishing in Brazil. Those investors have recently made good deals by absorbing or buying strategic assets (shopping centres, warehouses, commercial buildings) at bargain prices. One of the reasons for this buying trend lies in the local economic instability, which has prompted some of the country’s debt-saddled REOCs (BR Properties and PDG Realty, inter alia) to sell strategic assets and restructure their debts. Those companies have used sale proceeds to strengthen their cash flow, pay dividends to shareholders, and reduce their net debt. Some real estate investors in Brazil opt for direct acquisition of real properties or real estate-backed securities. Others acquire stocks of listed REOCs. The presence of those more sophisticated long-term investment players in the local real estate market has bolstered the sophistication of real estate deals in Brazil, including an increase in the issuance of real estate receivables certificates (CRIs) and other real estate-backed securities and in underlying receivables. On top of that, the Brazilian Securities and Exchange Commission (CVM) regulations have also imposed more complex corporate governance standards on companies and funds acting in the real estate industry. Recently, with the declining official interest rates in Brazil, we have seen the resurgence of public offerings of real estate investment funds (FIIs) targeted at the public in general, specially individuals. Only in 2018 there were already 18 public offerings of FIIs registered before CVM, totalling approximately 5.5 billion reais, while 16 offerings, totalling an amount of approximately 4 billion reais are still under CVM’s analysis,3 representing a substantial increase in relation to the past recent years. Key lead underwriters in such offerings are XP Investimentos, RB Capital, Rio Bravo, Credit Suisse Hedging-Griffo and Ourinvest. With an extensive securities distribution platform, XP Investimentos has been taking the lead in this kind of transaction, being the lead underwriter of six of the 18 registered offerings in this year so far. The Brazilian legal system is based on the Roman-Germanic tradition, which means that the core principles of law are always codified. The Brazilian tax system is extremely complex, and several layers of constitutional, federal, state and municipal laws and regulations unfold cumulatively; hence, a deep understanding of the tax implications for every project is critical to investment decision-making in Brazil. The courts usually take years to render a final and conclusive decision on how a law or regulation should be construed in specific circumstances, and the decision is enforceable only in relation to the parties to the dispute. In other words, court rulings serve as a guide, but are not binding on all market players. tax and labour issues at the operating company’s level, which affect the company’s results and, by extension, investor returns. In February 2018, JHSF Malls, which is the real estate subsidiary of JHSF Group focused in shopping malls incorporation and management, filled an IPO request before CVM, which has not been completed yet. According to market specialists, the offer is expected to raise up to one billion reais. If the IPO is successfully completed, JHSF Malls will be the first real property company to go public in Brazil since Sonae Sierra in 2011. In Brazil, IPOs boomed in 2006 and 2007, and most REOCs went public in those years. In a sophisticated takeover bid, GP Real Properties gained control of BR Properties by acquiring a 70 per cent common shareholding stake under a tender offer governed by CVM Ruling 361 of 2002.
certain material adverse changes need to have not occurred. On these conditions being satisfied in a timely manner, GP Real Properties gained control of BR Properties on 11 May 2016. The tender offer value reached 1.896 billion reais. After this deal closed, BR Properties remained listed on B3, in the Novo Mercado trading segment. This was the closest ever to a hostile takeover bid in the Brazilian M&A market involving a listed real estate company, as some directors of BR Properties resisted the tender offer itself and the proposed price until the last minute. One factor discouraging hostile takeover bids on B3 is that the by-laws of several listed companies in the Brazilian securities market have non-negotiable provisions and poison-pill clauses by which an investor reaching a certain threshold (say, 15 per cent, 18 per cent, 20 per cent or 25 per cent) is required to make a tender offer at a price per share well above market value. This was the very reason GP Real Properties requested that, as one of the conditions for its tender offer, the general meeting of shareholders should expressly waive the poison-pill clause set out in the by-laws of BR Properties. Had this waiver not been given, the deal would have been shut down. This large deal (worth around 3.18 billion reais) was announced in June 2014. Other such asset sales have been made by BR Properties recently (see Section II.ii). The target company engages in advisory, management and development of shopping centres and service or office centres. In consideration for an equity interest held by PDG Realty in REP Real Estate Partners, LDI delivered to PDG Realty 26 real property units located in the city of São Paulo and worth approximately 33.868 million reais, which were owned by an LDI-controlled entity. This deal reduced PDG Realty’s consolidated net debt as of 31 December 2015 by approximately 237 million reais, and was announced on 4 May 2016. On that same date, PDG Realty also announced that it had executed a restructuring memorandum with banks worth 3.7 billion reais (60 per cent of its gross debt). This was meant to reschedule its debt and give the company some breathing space to avoid selling off its inventory under pressure and at any cost. Should the company manage to sell its assets at fair market value and use a portion of the proceeds to reduce its debt principal and interest, with a possibility of even offering some real property assets to banks as a way of reducing its debt burden, the creditor banks could consider opening new credit facilities that would enable the company to complete works in progress and obtain some working capital. Both deals were part of a more complex transaction involving the PDG Realty’s pursuit of a sounder financial balance by reaching an agreement with creditor banks and concurrently selling some assets based on a legally effective structure entailing the PDG Realty’s sale of equity interests in a special purpose entity holding those assets. BR Properties acquired for approximately 435 million reais a commercial building formerly owned by PREVI, one of the most important pension funds in Brazil and in Latin America. The transaction was concluded in May 2017. It was announced on 21 June 2016 that BR Properties and Brookfield had entered into four real property purchase commitments and a stock purchase agreement by which Brookfield would acquire real estate assets in the cities of São Paulo and Rio de Janeiro, as well as equity holdings held by BR Properties. The deal value was around 2.079 billion reais. The acquisition by Hines of the total interest held by PDG Realty in the Jardim das Perdizes undertaking for 160 million was announced in October 2015. This deal refers to 10 leasable property assets comprising industrial and logistics warehouses, as well as office buildings owned by BR Properties, which were acquired by BRE Ponte Participações (a special purpose entity owned by Blackstone) for 1.065 billion reais. The deal was announced in August 2015. 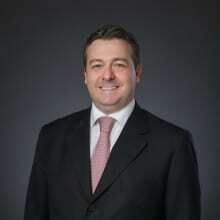 Acquisition of IFF Opportunity managed assets by Blackstone and Pátria. This deal refers to acquisition of four commercial buildings in Rio de Janeiro for 700 million reais. The deal was announced in December 2014. The acquisition by Blackstone and Pátria of a 70 per cent stake in Alphaville Urbanismo from Gafisa for 1.4 billion reais was announced in 2013. This deal refers to an urban development undertaking near the city of São Paulo. Blackstone, which owns a stake in the Hilton hotel chain, acquired a hotel located at Copacabana beach, Rio de Janeiro, from Brazilian hotel chain Windsor. The deal, for an undisclosed amount, was announced in March 2017. Blackstone’s intention is to expand the Hilton brand in Brazil by acquiring high-profile hotels located in high-demand areas. HIG Capital performed its first two real estate investments in Brazil between October 2017 and May 2018. The first investment concluded in the sector was the acquisition of Urbanity, a corporate building in São Paulo, and the second investment was the acquisition of Parque Ana Costa, a complex of shopping mall and corporate building established in Santos, State of São Paulo. The amounts involved in both deals was not announced. Publicly traded real estate investment trusts (REITs) existing and organised under Brazilian law are not at all common in Brazil. Instead, real estate investment funds (FIIs) and private equity funds (FIPs) are currently the two most popular and tax-efficient structures that investors use as vehicles for their real estate investments in Brazil. REOCs are for-profit companies that pay standard corporate taxes in Brazil, as opposed to FIPs and FIIs, which are investment vehicles designed to receive and carry out investments under a more favourable tax treatment for the benefit of their investors. FIPs usually invest directly in shares of a company (acting in the real estate business or in other markets), including closely held and publicly held REOCs. FIIs, however, usually invest directly in real estate assets by means of acquisition of the property itself or real estate-backed credits. Most Brazilian REOCs listed on a stock exchange and issuing real estate-backed securities must have adhered to senior corporate governance trading segments (almost all of them on B3’s Novo Mercado). As previously mentioned, some of the most relevant real estate private equity firms in Brazil are Blackstone, Pátria (in partnership with Blackstone), Brookfield, H.I.G. Capital, CPPIB, Hines, Gazit, and Kinea. All of these firms have offices in Brazil and a local staff composed of real estate experts. A typical structural challenge that applies to every international private equity firm establishing an office and team in Brazil refers to the corporation type and compensation package to be adopted locally. The intricacies of the Brazilian tax system are such that it is very often preferable to set up a Brazilian company (as subsidiary of a foreign-based parent company), which will be in charge of providing services, hiring the necessary staff and paying the monthly compensation and annual bonuses to personnel. The partners in these Brazilian companies are usually the most senior executives acting in Brazil, and operating expenses are charged to investment advisory service revenues. If services are hired and paid for by a foreign-based related person, then transfer pricing rules apply. Another complex issue relates to the partner or employee status of the local team. Partners enjoy a more favourable taxation of profits and dividends as opposed to the high labour and social security costs on wage earners. For this reason, senior managers tend to make as many staff as possible into partners (non-employees), but from a legal perspective it is important to treat staffers with regard to their actual roles and responsibilities, the costs inherent to each being defrayed accordingly. Another dilemma lies in the income that the Brazilian team will receive from the foreign-based parent company, whether as a monthly or annual compensation, or as a ‘carry’ upon realisation of divestiture gains. These aspects and the corresponding solutions should be considered on a case-by-case basis, in light of the tax and asset condition of each individual involved. The most important laws are the Civil Code and the Brazilian Corporations Law. Extensive regulations from the CVM and from B3 also apply to publicly held companies adhering to specific corporate governance segments. CVM regulations also apply to investments made by FIPs and FIIs. Transactions are generally structured via special purpose vehicles (SPVs) (as this gives more liquidity to real estate assets). 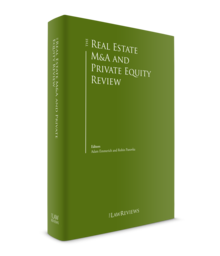 A more detailed explanation follows on legal frameworks and deal structures for real estate transactions in Brazil. There are a number of ways in which to invest in real estate in Brazil, such as: (1) direct investment in real estate; (2) SPVs; (3) FIIs; and (4) FIPs. Each alternative presents pros and cons depending on the purpose of the investment, funding structure, governance and tax impacts, among other criteria. There are currently no restrictions on the direct acquisition of urban property in Brazil by a foreign individual or legal entity.5 The standard deal usually follows the steps below. Initial agreement between seller and buyer: the parties execute a preliminary agreement, usually covering (1) the buyer’s right to access certain documents regarding the property and the seller; (2) the seller’s obligation to make these documents available; (3) specific due diligence rules and timelines; (4) an exclusivity period; and (5) sometimes even a down payment. Typical non-binding documents executed at this stage are letters of intent or memoranda of understanding encompassing a limited number of rights and obligations of each party. Purchase and sale commitment: one of the most typical conditional purchase agreements is the purchase and sale commitment (commitment), by which the parties agree that, once certain pre-requisites are satisfied (e.g., full payment of the real estate price or satisfactory due diligence results), the buyer is required to acquire the property and the seller is required to sell it. This commitment is executed before the public deed of title is drawn up, and usually involves a down payment by the buyer. Completion of the deal: once the terms and conditions of the commitment have been fulfilled or waived, the parties execute a public deed of title before a notary public, usually against full payment of the purchase price and of property transfer tax (ITBI, which varies from 2 to 5 per cent, depending on the location). Execution of this public deed of title involves notary costs calculated at the transaction value or assessed value, whichever is higher. Registration of the deed: under Brazilian law, title to real property is usually conveyed by means of a transfer deed, which is subsequently registered with the competent real estate registry office upon annotation in the corresponding property record. This registration is necessary to meet the formalities inherent in this type of document; disclosure of real property conveyancing must be arranged so that it is enforceable in relation to third parties. Acquisition of the real property is completed by transfer of title. The most common ways for foreign investors to invest in the Brazilian real estate market are by: (1) forming a local legal entity (a joint-stock company or a limited liability company) to own real estate or develop real estate projects; and (2) setting up a FIP, which, in its turn, will acquire the local legal entity owner of the real estate. Brazilian law provides for several forms of business organisations, with the most widely adopted being the limited liability company and the joint-stock company. These two companies have some features in common and also share basically the same tax treatment, but limited liability companies are less bureaucratic and expensive than joint-stock companies. Whatever the form adopted, these two companies have some features in common. First, there must be at least two partners (shareholders or members), which may be individuals or legal entities (and which do not have to be domiciled in Brazil). In principle, there are no minimum capital requirements for the organisation of such companies; the capital stock may be allocated between the parties at their own discretion. ITBI is not levied when SPV equity holdings are sold, even if the SPV owns real property assets. However, ITBI will always be levied when the real property is sold to a third party. All REOCs are organised as joint-stock companies, and their shares are traded on B3 in the Novo Mercado trading segment. REOCs are subject to the Corporations Law, rules enacted by the CVM, their respective by-laws, and all governance rules, internal controls and corporate agenda set out in the Novo Mercado self-regulatory standards. According to Law No. 8,668 of 1993, further regulated by CVM Ruling No. 472 of 2008, FIIs are closed-end funds organised as unincorporated entities (condominiums), with no legal personality, through which joint ownership of real estate assets and securities is exercised. real estate receivables certificates and other real estate backed instruments. Investment funds do not have legal personality, but even so are still required to obtain a corporate taxpayer number (CNPJ). FIIs are administered by legal entities accredited by the CVM and hold fiduciary ownership of the portfolio assets. These entities, the administrators, are also liable for payment of taxes by FIIs as and when due. According to CVM Ruling No. 578 of 2016,6 as amended, the FIP must be organised as a closed-end condominium consisting of an unpersonified pool of assets (as opposed to non-Brazilian funds organised as partnerships or corporate entities) administered and represented by administrators registered with the CVM. The FIP form can be especially attractive to private equity investors seeking lower individual exposure to risks through the gathering of funds by an investor pool and asset diversification. A FIP can also supply its owners with a platform for the centralised professional management of investees with the requisite market and financial skills that would otherwise not be available to investors acting individually or through subsidiaries. Despite being an unpersonified entity, the FIP is also required by tax regulations to obtain a CNPJ and to book transactions in its own name and on its own behalf, as if it were an incorporated legal entity. Even so, the corporate tax enrolment of FIPs does not affect their unincorporated status and is required primarily for tax filings and reporting purposes. The FIP can acquire shares (stock) of joint-stock companies, quotas of limited liability companies, convertible and non-convertible debentures, subscription warrants and other securities, either convertible into or exchangeable for shares issued by publicly or privately held corporations, the management of which must be actively monitored by the FIP. At least 90 per cent of the FIP’s net equity must be allocated to such permitted investments. The remaining portion of the portfolio can consist of liquid fixed-income instruments (e.g., Brazilian treasury bonds) and other financial assets, mainly for cash management purposes. Investments by the FIP in either closely or publicly held corporations are not subject to minimum revenue or net-worth requirements. Likewise, no mandatory concentration or diversification requirements would apply to the allocation of the FIP’s portfolio in equity investments, unless otherwise stipulated in its by-laws, and, except for investment by the FIP into non-convertible debentures, that is generally limited to 33 per cent of the subscribed capital of the FIP. Whatever the structure adopted to invest in real properties in Brazil, the prospective buyer should always undertake a complete and detailed due diligence on both the property and the seller. The due diligence scope and criteria have a direct bearing on the avoidance of future problems relating to the property or to the purchase and sale transaction. The due diligence may verify the existence of open issues (debts, suits and claims) concerning the target property or the seller, which could label the deal as a fraudulent sale and eventually vitiate the transfer of legal title. Further, the buyer could use due diligence efforts as proof of its good faith in acquiring the property, which may help protect its ownership rights against third-party claims. Besides a complete review of the documents related to the real property and its chain of title, a target property valuation is also advisable. This valuation is useful for business purposes, and also helps establish a fair value for the target property (which is thus being negotiated on an arm’s-length basis, without any harm to the seller’s creditors or to prior owners). Based on due diligence findings, the buyer may ask for additional pre-closing measures, such as (1) a more robust set of guarantees; (2) supplemental representations and warranties; (3) allocation of a portion of the purchase price to an escrow account for some additional time; and even (4) a reduction in the purchase price. Special attention should be paid to representations and warranties concerning specific real estate aspects (also addressing any existing burdens on the real properties concerned) with a resulting impact on indemnification rules and mechanisms. Further issues to be taken into account are the prerequisites possibly related to spin-off involving non-target assets, notably in the event an SPV structure to handle operating real estate assets was not put in place at the time of the original investment and, therefore, an SPV sale does not represent the best choice of deal structure in a particular situation. The buyer may also give up on a deal if due diligence findings point to any serious issue that renders the property unfeasible for the intended business. Comprehensive due diligence encompassing not only real estate aspects but also environmental, tax and administrative circumstances can give a full picture of the property, its seller and other sensitive issues (indigenous or landless settlements, expropriation cases, etc. ), which makes the buyer better equipped to balance the risk of claims against the target property. Hostile takeover transactions do not tend to occur in Brazil, particularly because most REOC by-laws contain non-negotiable provisions or poison pill clauses by which a tender offer must be made at prohibitive prices (thus making hostile takeovers practically unfeasible). Notwithstanding the above, B3 issued, in 2016, procedures permitting and regulating public acquisition offerings of FIIs’ quotas. Such procedures, in practice, make hostile takeover transactions involving FIIs possible. Nevertheless, since the issuance of such procedures by B3, there has been no relevant number of hostile takeover transactions of FIIs so far. Real estate transactions are typically financed by means of the investor’s own capital or through bank loans secured by a security package. Besides personal guarantees and guarantees tendered on company shares, the most common securities for real estate transactions in Brazil are mortgages and fiduciary liens. Under Brazilian law, a mortgage is basically defined as a lien placed on a real estate or other immovable property by a debtor (or its designee) as security for a debt owed to its creditor. If the debt is unpaid as and when due, creditors may bring suit to sell the mortgaged property and use the proceeds to pay the debt. A fiduciary lien is a type of security interest by which the debtor transfers to the creditor conditional title to a certain property, holding for itself only physical possession of the property. The debtor recovers full title to and indirect possession of the property when the secured obligations are fully satisfied. If the debtor defaults, the creditor may arrange for foreclosure via out-of-court proceedings, which are carried out directly by the real estate registry office where the fiduciary lien is registered. Under current tax regulations, foreign exchange transactions involving currency inflows or outflows associated with investments are generally subject to tax on foreign exchange transactions (IOF/FX), which is a tax triggered by settlement of foreign exchange (forex) transactions carried out by local or non-resident investors. Inbound forex transactions for acquisition of land (or for setting up a local SPV to that end) are generally subject to IOF/FX tax at a rate of 0.38 per cent. This also applies to repatriation of investments (upon sale of assets or capital reduction in Brazil). However, the distribution of profits (dividends and interest on net equity) is subject to IOF/FX tax at a zero rate. In principle, direct purchase of lands by an SPV has no tax implications or risks other than those common to ordinary real estate negotiations. Generally speaking, an SPV must satisfy its obligations towards the seller as established in the corresponding purchase agreement, and also pay the ITBI tax at a rate varying from 2 to 6 per cent (depending on the municipality where the land is located). In Brazil, corporate taxation materialises in the form of corporate income tax (IRPJ) at a rate 25 per cent,8 and a social contribution on net profits (CSL) at a rate of 9 per cent. With very few exceptions, these taxes are levied on the same tax base, which is why it is commonly said that the IRPJ/CSL taxes are levied at a combined rate of 34 per cent. Under the actual profits taxation regime, a company’s taxable profit is determined as the result of its actual revenues less its tax-deductible expenses during a given calendar year. Broadly speaking, expenses are only admitted as tax-deductible when, besides being effectively paid by the company, they are deemed necessary (to the business of the company), usual (as to their type), and normal (as to their amount). Under the estimated profits taxation regime, a company’s taxable profit is determined as a fixed percentage of its gross revenues, regardless of any deductible expenses the company may have incurred during the calendar year. Percentage rates are set by law in accordance with the type of business that generated a given part of the company’s revenues. For revenues arising from property lease (as well as those arising from assignment of rights in rem, for example, licensing of surface rights), the IRPJ/CSL tax base under the estimated profits taxation regime is both calculated as 32 per cent of the gross revenues derived by the company from that specific activity; for revenues arising from the sale of properties, the IRPJ/CSL tax base is set at 8 per cent and 12 per cent, respectively, of the gross revenues arising from these property sales. Once the tax base is finally determined, IRPJ/CSL is then assessed at a combined rate of 34 per cent. Social contributions on gross revenues (PIS/COFINS) are two social contributions that are jointly levied on the gross revenues earned by Brazilian companies. These contributions may be levied under a cumulative or non-cumulative system. Under the cumulative system, a flat combined rate of 3.65 per cent (0.65 per cent for PIS and 3 per cent for COFINS) will be levied over the gross revenues of the company, this taxation being final (i.e., with no authorisation for the Brazilian company to take PIS/COFINS tax-deductible credits associated with its inputs). In turn, under the non-cumulative system, PIS/COFINS are levied at a combined rate of 9.25 per cent (1.65 per cent for PIS, and 7.6 per cent for COFINS). In this case, however, companies are authorised to ascertain and deduct tax credits calculated on some of the inputs, as defined by law, used in their activities generating revenue that are also subject to PIS/COFINS, as well as on the depreciation of assets. Companies that are subject to IRPJ/CSL taxation under the estimated profits taxation regime are subject to PIS/COFINS under the cumulative system at a flat and final 3.65 per cent combined rate. Conversely, companies subject to the IRPJ/CSL taxation under the actual profits taxation regime are subject to PIS/COFINS under the non-cumulative system at a 9.25 per cent rate. After-tax proceeds distributed by SPVs to foreign investors are exempt from withholding income tax (IRRF) (generally due on remittances at a 15 per cent rate), whereas remittances of interest on net equity are generally subject to IRRF at a rate of 15 per cent. Expenses related to such payments qualify as deductible from the IRPJ/CSL tax base if the SPV opts for the actual profits taxation regime. Forex transactions for currency inflows or outflows related to FII investments are currently subject to IOF/FX at a zero rate. Under the prevailing regulations, the income and gains recognised by the portfolio of investment funds in general are not subject to corporate taxation (IRPJ/CSL and PIS/COFINS) or to IRRF. Therefore, as a general rule, positive results posted by investment fund portfolios have tax implications for investors only, in the form of IRRF to be charged upon distributions to the investors, at rates varying in accordance with their legal qualification and country of residency. Nonetheless, apart from this general rule, specifically in respect to FIIs, Article 16-A of Law No. 8,668 of 1993 establishes that gains derived from variable and fixed income investment in general (except for securities related to the real estate market, such as CRIs) are subject to IRPJ/CSL on the fund portfolio under the same rules as those applicable to legal entities in general. Further, Article 2 of Law No. 9,779/99 establishes that FIIs investing in a real estate undertaking whose developer, builder or partner holds, individually or together with a related person, more than 25 per cent of the fund shares are subject to same taxation rules applicable to legal entities in general. Article 10, sole paragraph, of Law No. 8,668 of 1993 establishes that FIIs must distribute to their shareholders at least 95 per cent of profits recognised on a cash basis, once every six months (in June and December of each year). Under Article 17 of Law No. 8,668 of 1993, generally, the income and capital gains earned by the FII’s local shareholders are subject to IRRF at a rate of 20 per cent. This IRRF is treated as a definitive taxation for individuals or as an advance payment of IRPJ/CSL due on the income by legal entities in general. A different tax treatment applies to foreign investors. c no shareholder holds 10 per cent or more of the FII shares, or is entitled to receive more than 10 per cent of the total income posted by the fund. Other than the above, distributions of income and gains earned from FIIs by foreign investors are generally subject to IRRF tax at a 15 per cent rate (except for investors located in tax havens, in which case the applicable rate is 20 per cent). If those gains arise from the sale of FII shares on a stock exchange, they may be tax exempt (provided certain conditions are met, including that investors are not located in a tax-haven jurisdiction). Forex transactions for inflow or outflow of funds related to investments in FIPs are subject to IOF/FX tax at the current rate of zero per cent. FIPs are flow-through entities under Brazilian tax law and, as such, no earnings or gains from transactions carried out by the fund itself are taxed at portfolio level. In fact, because the FIP is formed as a closed-end condominium (not as a standard legal entity), the FIP enjoys some tax benefits such as not being subject to any taxes on its own transactions (i.e., IRPJ/CSL and PIS/COFINS). In practical terms, this means that if the FIP sells stock or other securities of its portfolio companies at a gain, the fund itself is not subject to any taxation in Brazil, and the same goes for distributions made to the FIP by its investees. Broadly speaking, the effect of such transactions for the FIP is that its shares appreciate at the same proportion of earnings or gains then received; only when the FIP makes distributions on its shares to investors will Brazilian taxes be imposed (or not, as the case may be), as further explained below. The tax treatment accorded to profit distributions made by the FIP depends on the legal nature and the tax residence of the recipient investor. As a rule, distributions of proceeds from FIPs to local and foreign investors are subject to IRRF tax at a rate of 15 per cent. Under current tax rules, Brazilian FIPs may distribute proceeds to foreign shareholders without paying IRRF, provided that certain requirements are met. In that specific regard, it is worth commenting on the precise conditions under which this special tax treatment can apply. IRRF is levied at a zero rate on income earned from investments made in FIPs when paid, credited, delivered or remitted to an individual or collective beneficiary that is resident or domiciled abroad and acts in the Brazilian financial markets pursuant to the rules and conditions prescribed by the National Monetary Council, which are generally accepted to be those rules and conditions set out in Resolution No. 4,373 of 2014. (iii) is not granted to those resident or domiciled in a country where income is either tax-exempt or taxed at a maximum rate of 20 per cent (tax havens). In short, to qualify for IRRF tax at a zero rate on FIP distributions, the non-resident investor must also: (1) be a ‘4,373 investor’; (2) hold less than 40 per cent of the fund, directly or indirectly; and (3) not be domiciled in blacklisted tax-haven jurisdictions. If any of the aforesaid requirements is not met, the income distributed by the FIP to foreign investors is subject to IRRF tax at a rate of 15 per cent. The IRRF tax at a zero rate applies as well when a foreign investor sells its FIP shares on the secondary market at a profit. Hence, if all requirements above have been duly met, the capital gains from sale of FIP shares by a qualifying non-resident investor should also qualify for IRRF taxation at a zero rate, as opposed to the general 15 per cent rate otherwise applicable to a non-qualifying investor. Brazilian law on real estate distinguishes between urban and rural properties. As previously mentioned, no restrictions apply to foreign investments in urban properties. Nonetheless, the current rules on foreign investment in rural properties in Brazil9 impose some restrictions on the acquisition or lease of such properties by foreign individuals or entities, and also by Brazilian companies mostly held or controlled by foreigners. These restrictions include the need for prior approval from the Brazilian Institute of Agrarian Settlement and Reform, or from the National Congress, depending on the size of the rural property. The rules extend to corporate transactions resulting in direct or indirect transfer of rural properties, such as mergers and acquisitions, changes in corporate control, or if a Brazilian company becomes a foreign company. The acquisition or lease of rural properties by foreigners in contravention of the current rules may be voided. Further, Brazilian law also regulates the occupancy of properties located within the country’s border zone (a 150 kilometre-wide strip along the division line of the national territory). Prior consent from the National Defence Council is required for possession, ownership, rural lease or creation of any other security interest involving real properties located within the border zone. This requirement is valid for foreign entities and for Brazilian entities held by foreigners (as majority or minority shareholders). The only exception is the tendering of guarantees in rem (i.e., mortgage and fiduciary lien) in favour of financial institutions with a foreign equity interest. Currently, some alternative structures not covered by Law No. 5,079 of 1971 are being adopted by foreigners to sidestep current legal restrictions (see below). As just mentioned, as a result of current restrictions on the acquisition and lease of rural properties by foreigners, some alternative structures are being adopted in the corporate real estate market. One structure currently used by foreign real estate investors is segregation of investments in the operating company (opco) and the real estate company (landco). In this structure, ownership of rural properties is held by the landco (the Brazilian company controlled by a local partner), whereas the opco is entrusted with operational activities. The landco and the opco execute one or more agreements by which possession and operation of the properties is transferred to the opco via contractual arrangements not restricted by Law No. 5,709 of 1971. A bill dealing with the restrictions on acquisition or lease of rural properties by foreigners is currently under discussion by the Brazilian House of Representatives. Under the bill’s much more relaxed policy, acquisition of rural lands by Brazilian companies would be free of restrictions, regardless of the controlling shareholders involved (except in cases of control by foreign NGOs, foundations or sovereign funds). Notwithstanding that, the acquisition or lease of rural properties in the Amazon region or areas with legal reserve equivalent to 80 per cent would not be allowed. The bill is yet to be discussed further and approved by the House of Representatives and the Senate, and then sanctioned by the Brazilian president. During this process, amendments could be made and the whole bill could change (as has already happened in similar cases). Considering the current political scenario in Brazil and the upcoming presidential election, the discussions regarding the approval of such bill have lost strength and is unlikely that its approval takes place before the new government take office. Another legal trend refers to compulsory identification of beneficial owners of foreign investment schemes for obtaining a CNPJ in Brazil, thus enabling the Brazilian authorities to identify the ultimate (direct or indirect) holders of equity interests in REOCs, SPVs, FIIs and FIPs. This requirement is difficult to implement when the foreign investment structure does not allow for identification of its beneficial owner. In that regard, tax authorities have been issuing tax notices of late, which are yet subject to litigation, against fund administrators and custodian agents for their involvement in structures that should purportedly be viewed as non-compliant with the legal requirements mentioned above. In certain cases, tax authorities argued that if the final beneficial owners could not be duly disclosed to tax authorities, a 35 per cent WHT tax should apply on all distributions made by FIPs, for instance. Such allegation should not prevail following litigation in administrative and judicial courts, but a general recommendation is that investors provide detailed information on the ultimate beneficial owners of their respective investments. The CVM is shortly to launch new rules lifting the bar on corporate government requirements for listed companies, and B3 has recently announced a package of adaptations and reforms to governance, compliance and disclosure rules applying to its most special trading segment, Novo Mercado. Minority shareholders have increasingly voiced their opinions on shareholders’ meetings of Brazilian listed companies. New CVM rules are expected to address the possibility of distant and proxy voting, coupled with other mechanisms to spur active shareholder participation in decision-making. 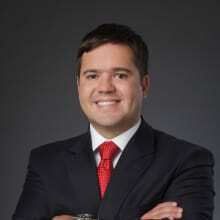 1 Henry Sztutman and Jorge N Lopes, Jr are partners, Flávio Coelho de Almeida is a senior associate, and Felipe van Heemstede is an associate at Pinheiro Neto Advogados. 2 In 2010, Blackstone took a 40 per cent stake in Pátria. 3 In accordance with CVM’s database on 8 June 2018. (www.multiplan.com.br), BrasilBrokers (www.brasilbrokers.com.br), Rossi (www.rossiresidencial.com.br), MRV (www.mrv.com.br), Helbor (www.helbor.com.br), EZTEC (www.eztec.com.br), LPS (www.lopes.com.br), Even (www.even.com.br), Direcional (www.direcional.com.br), BR Properties (www.brpr.com.br), PDG Realty (www.pdg.com.br), Gafisa (www.gafisa.com.br), Sonae Sierra (www.sonaesierra.com.br), JHSF (www.jhsf.com.br), Cyrela (www.cyrela.com.br), Viver (www.viver.com.br), Beter (www.beter.com.br), LDI (www.grupoldi.com.br), CR2 (www.cr2.com.br), João Fortes (www.joaofortes.com.br), Trisul (www.trisul-sa.com.br). Please refer to the websites mentioned above to check history, profile, strategy, competitive advantages, portfolio, governance and other corporate and investor-related matters of the most relevant REOCs currently doing business in the Brazilian market. 5 As further explained below, there are currently restrictions on acquisition and lease of rural properties by foreigners. 6 CVM Ruling No. 578 was enacted by CVM, replacing former CVM Ruling No. 391 of 2013 and introducing certain flexibility to investments made via FIP, such as the possibility of the FIP investing in, among other things, limited liability companies and non-convertible debentures. 7 If the company has a considerable amount of tax-deductible expenses, it might want to be subject to IRPJ/CSL under the actual profits taxation regime, associated with the non-cumulative system for PIS/COFINS taxation. By contrast, if the company does not have substantial tax-deductible expenses, it would probably be better off being subject to the estimated profits taxation regime, in which case the cumulative system for PIS/COFINS taxation also applies. Roughly speaking, under the actual profits taxation regime, the net profits (determined in accordance with the tax regulations) derived by SPVs focusing on the real estate market and arising from the sale of properties or leases are subject to IRPJ/CSL at a rate of 34 per cent, and to PIS/COFINS at a rate of 9.25 per cent. Expenses incurred with PIS/COFINS payments are also deductible from the IRPJ/CSL tax base, thus resulting in an effective tax rate of 30.855 per cent. Under the estimated profits taxation regime, revenues from property sales are subject to a tax burden of 6.73 per cent for IRPJ/CSL/PIS/COFINS. 8 More precisely, the IRPJ rate is 15 per cent plus a 10 per cent surcharge, where the 15 per cent rate is levied on all the tax base, whereas the 10 per cent surcharge is levied on the tax base in excess of 240,000 reais per annum. 9 Law No. 5,709 of 1971 and Law No. 8,629 of 1993.